The Cambridge Commonwealth, European & International Trust is delighted to be launching a programme of His Royal Highness The Prince of Wales Commonwealth Scholarships in celebration of the 70th anniversary of the modern Commonwealth. With the Commonwealth at the heart of the Scholarships, the fully-funded awards will be offered to postgraduate applicants from Commonwealth nations to study at the University of Cambridge in fields of study which focus on practical themes affecting its future. 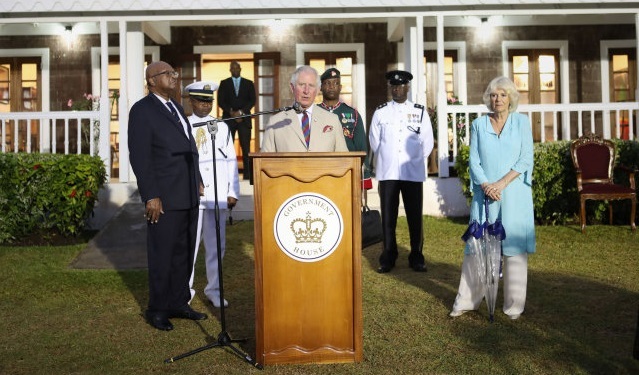 His Royal Highness The Prince of Wales, Patron of the Trust and himself a Cambridge alumnus, announced the new development during a speech at a reception hosted by the Governor General of St. Kitts and Nevis, where he was visiting as part of a 12-day tour of the Caribbean. Developed with the Trust whose work The Prince has been involved in for some 35 years, the programme will support up to twenty scholarships over a three-year period for PhD and Master’s students from across the Commonwealth. The first recipients will begin their studies at the University during the 2019-20 academic year, with the scholarship covering both their fees and living expenses. Helen Pennant, Director of the Cambridge Trust, said “I am delighted that the Trust will be offering these important scholarships in the name of our Patron, His Royal Highness The Prince of Wales. We hope that the scholarship recipients will go on to play a crucial role in addressing the many challenges we face and have a tangible impact on global issues of concern”.